I have engaged the services of Mrs Joyce Daniels as Master of Ceremonies for some of the most important events that I have helped organize over the years in Port-Harcourt, notably, the Rivers state Investors Forum 2011 and the Evening of Tributes event that was held for my father in February 2016. Suffice to say that I consider Joyce to be an exceedingly competent, attentive, courteous and intelligent young lady who is a master of her trade. Her service delivery is impeccable, as she combines knowledge and humour rolled in one and never fails to appropriately gauge the mood of her audience. I have absolutely no hesitation in recommending Joyce as a consummate professional who exhibits a level of maturity that is well beyond her years.she is a joy to work with. President and Founder ANAP Foundation. Chairman of Stanbic IBTC Holdings Plc and Cadbury Nigeria Plc. The best of adjectival clauses can't fully present the dexterity, simplicity, maturity and huge amount of humor JD exhibited during our wedding reception ceremony. Even in the ilk of rainy weather and late arrival of guests, she took hold of the occasion and navigates through the program menu with a high level of mastery. Her communication skills are next to none. Even when there was some form of language barrier (being an igbo environment), she worked closely with all parties, entertaining the audience and most importantly KEPT TO TIME. Good work Joyce, better days ahead!! Increase!!! My first meeting with Joyce Daniels was in 2013, where we were both Speakers at the Redeemed Christian Church Teen's Convention, Abundance Mega Parish, Uyo. While there, her oratorical skills and dexterity endeared her to me, the other Speakers and the organisers who applauded her eloquent speech delivery and orderly presentation. We became friends and since then she has been invited to the Teenagers Outreach Ministries, Akwa Ibom State where she has delivered impactful and transforming speeches, talks, seminars, and symposium to parents, guardians, and teens alike. ‎Her sense of humour, detailed explanations, and In-depth analysis leave her audience with a lingering memory of the message delivered. Let me say I have known Joyce all her life (once upon a time,..little Joyce)! Of course her ever turning out to be a “compere” remains a great and pleasant surprise. I first saw Joyce compere in 2009 at a wedding of a couple I didn’t quite know in Asaba, Delta State (honestly, I attended out of curiousity) and you wouldn’t imagine my amazement at her command of the stage (little Joyce ha!). An idea hit me and I introduced her to my elder brother who was getting married shortly after, using the ‘unusual uniqueness’ of her being a woman, and considering her business-like style on stage to convince him. Again, you can’t imagine the apprehension during the reception particularly from our parents and their friends seeing a rather young and female compere! She did it again and stole the crowd, I became a self appointed manager for the “Joyce Daniels!”, or so I imagined. Now five (5) years later, I was going to tie the knot and who was I not to contact the Madame Joyce Daniels especially with my Total-African crowd (courtesy of my East African wife). Joyce created yet again, THAT scenario that makes a difference and left my guests (local & foreign) with a lasting impression! Big hearted Joyce thought it best to help aspiring comperes to develop their talent while preserving knowledge & has created a training school to that effect! Indeed, I think the time has come for her to raise the bar to International stages and I will gladly recommend any such offers for her any day. Protocol & Soft Diplomacy Professional Abuja. I have had the pleasure of sitting in at 3 very different events anchored by Joyce Daniels, a 50th birthday party, a night of tributes and the annual congress of the Ophthalmological Society of Nigeria. Joyce has the rare gift of blending class with simplicity and panache and delivering in a very down to earth manner no matter the nature of the event. One of the things that impressed me most when we finally engaged her was her professionalism; she takes her time to conduct a research before an event. Most of all because she loves what she does and brings her persona to bear, she creates a relaxing atmosphere that has you captured forgetting about all else. If you only planned to dash in and out of an event, forget it, if Joyce has anything to do with it. She is truly captivating. Her drive and tenacity in an industry dominated by men is admirable. She is definitely my first and only choice if you are looking for a compere that will make your event exceptional. It felt like a breath of fresh air meeting Joyce. We might have been a bit apprehensive before we met, but we had no doubts after our first contact. My husband and I were glad we were going to have not just any MC but someone who was concerned about our love story and above all someone who is born again , loves God and is such a good listener, and of course, so eloquent. 🙂 The wedding was a blast, we couldn't have asked for a better MC. She brought life to the wedding reception, engaged our numerous and diverse guests, made our fathers do a nice dance-off as well. Thank you Joyce for being an amazing MC. We wouldn’t forget you and Rodrigo in a very long time to come. Thank you and Great job! If you ever need a Master of Ceremony that combines Professionalism, Excellence with Fun then your best bet would be Joyce Daniels. Her ability to connect with any audience is amazing and her stage craftsmanship is engaging while not deviating or derailing from the objective of your meeting. We were privileged to have this "queen of talk"' as compere for the Entrepreneurial Forum both at UNIPORT and RSUST respectively and we were not disappointed. As a satisfied client; I gladly recommend her to you for your own event. 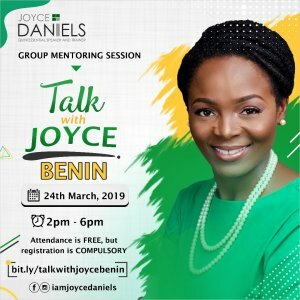 Joyce Daniels is a BRAND to reckon with!! 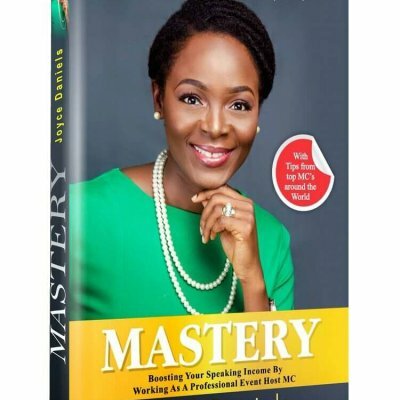 She is spot on, connects intelligently with the audience and a must have compere, if you desire an exquisite event. I got introduced to Joyce Daniels through my elder sister. I hadn't met her in person so I quickly did a Google search on her. Impressed at the testimonials, I got on the phone and we spoke. Joyce was in PHC in the first weekend of August 2016 to anchor the first ever Garden City Agribusiness Conference. In the rush of things, I couldn't brief her on the profile of our guest speakers... Joyce did that all by herself. How she kept us engaged for over eight hours, amazed me. I will gladly recommend her to myself and make sure she sends confirmation for our own events before anyone else. Lol. Convener, Garden City Agribusiness Conference 2016. Managing Partner, LYSEIS FORTE Consulting Nigeria Limited. There was a training session going at our office organised by my Sister Organisation and we had a hand full of ladies that trooped in for the session. My office door was open and I could see the people that were going in and out. This lady walked passed and immediately we both screamed together and at time I stood up from my seat and we both ran to each other to give a hug. (I cannot recall the joy I felt at that minute) She was my senior back in university days and I had admired her a lot and silently wished I had her “hot brain” added to mine...hehehehe We talked after her training session and she offered to give Blazing Heart a voice using any platform she could after explaining what I was into. (I was quite overwhelmed) We had our seminar not too far from then and she came and compered the event for FREE for us all the way from Uyo in Akwa-Ibom state where she lives. At our seminar, Joyce delivered with the same professional, courteous, vibrant and very warm aura, sprinkled with intelligent humour. She gauged the audience well and delivered on all aspects of the conference theme. Our invited guests and delegates were truly impressed. Joyce was totally in sync with the audience, which was a good thing since most were medical doctors. Her advice and help can not be quantified.Her advice, follow-ups and push to see that we impact better cannot be overemphasised. She is a man-maker ,a teacher, a nation builder, a team leader, a kingdom developer, and a mother. I would gladly recommend her to anyone who seeks the best in managing top-notch events. I first met Joyce Daniels in February 2016, where she compered the Evening of Tributes, organized in honour of late Alabo Dr M.C.A Peterside, at the Hotel Presidential, Port Harcourt. My colleagues and I were so impressed by her compering that we decided there and then to engage her to compere the Opening Ceremony of the Annual Congress and Scientific Conference of the Ophthalmological Society of Nigeria (OSN), which was coming up in Port Harcourt in August 2016. At our congress, Joyce delivered with the same professional, courteous, vibrant and very warm aura, sprinkled with intelligent humour. She gauged the audience well and delivered on all aspects of the conference theme. Our invited guests and delegates were truly impressed. Joyce was totally in sync with the audience, which was a good thing since most were medical doctors. People have not stopped talking about her beautiful performance and I would gladly recommend her to anyone who seeks the best in managing top-notch events. Executive Director EXCELLENCE COMMUNITY EDUCATION WELFARE SCHEME (ECEWS) Plot 8 Ekpe Nkeruwem close,Ewet Housing Estate,Uyo Akwa ibom State,Nigeria. "I must commend Joyce Daniels for the professional way she anchored our EU event held in Port Harcourt. She was quick in grasping the complex topic of discussion and was flawless in her delivery. Her versatility is commendable while her passion for the job at hand is impressive. She has earned my recommendation. Keep up the good work!!!" Joyce is a consummate professional and is the compere’s compere. She’s bright and witty, sensitive and completely at ease whether in an intimate family event or the most formal, protocol-laden events. 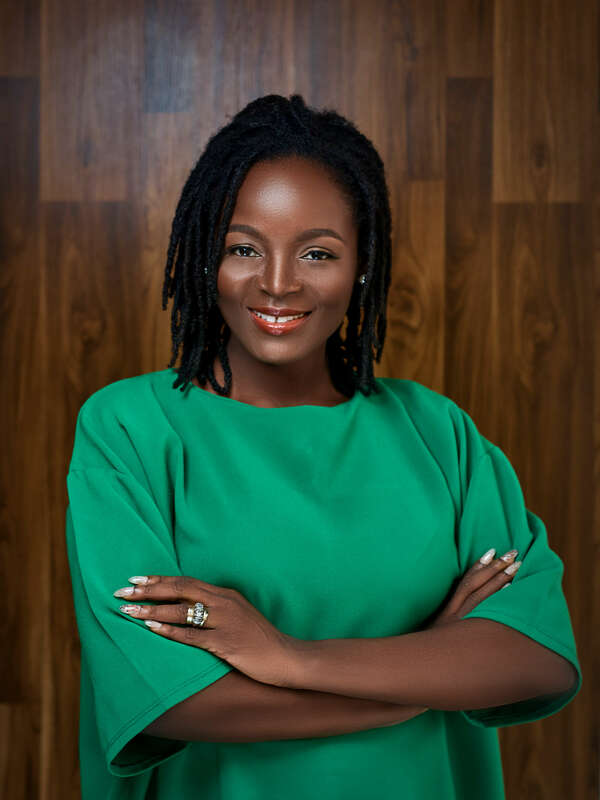 She’s also extremely generous, as her decision to share her nuggets of wisdom with aspiring MCs all over Nigeria shows. Watch her.